I've been especially busy as of late and am focusing less on traditional mediums and more on digital ones, including web coding and social media. Just recently, I have completely revamped my whole website and spent the better part of last year re-doing the website of my current employer, Exeter Fine Crafts. I have learned a lot these past few years and feel confident this is a good direction to continue exploring. I have also gotten back into teaching. This past year alone I taught a few fine art workshops and look forward to teaching more classes in puppet making and needle felting. For more on the classes I am teaching, visit: www.exeterfinecrafts.com. 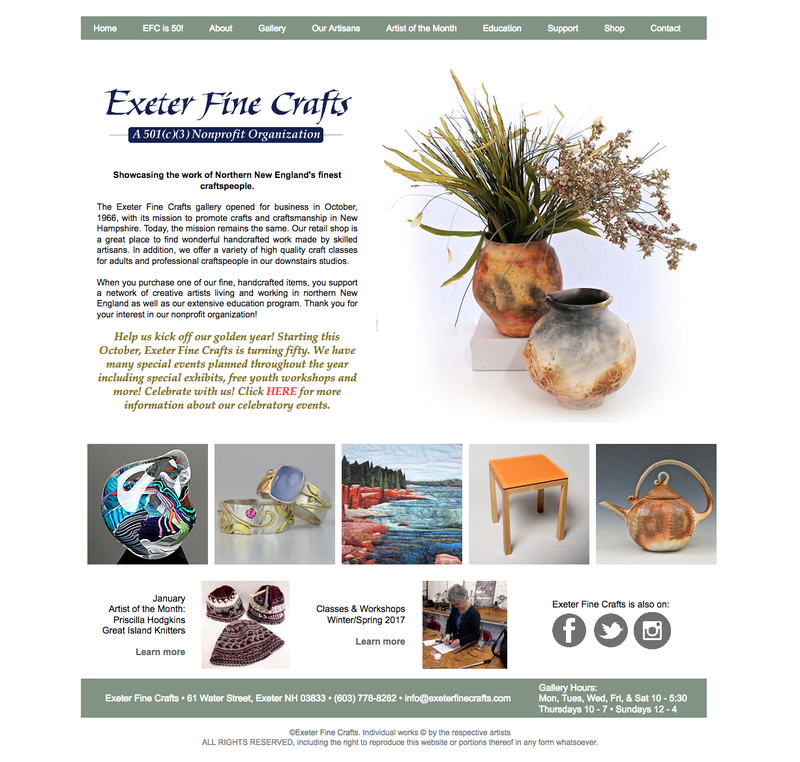 I am also participating in "50 for 50" an artist event hosted by Exeter Fine Crafts happening this March! This special 6”x6” Art Fundraiser will feature several donated works of art, in a variety of media, with all proceeds going towards EFC’s scholarship program. Honoring Exeter Fine Craft's 50th birthday, all 6”x6” pieces will be available to purchase for $50. I will provide more information when I learn more!